First Muslim Miss USA Rima Fakih Converts To Christianity! More Than Half The world’s Billionaires are Christians, Here are the Top 10 Including A Nigerian Woman! Nigerian Anglican Church Refuses To Join The Rest To Approve Gay Marriage and Consecration of Gay Bishops! 5 Things We Shouldn’t Do While We Spend Time With God. Meet The World’s ‘Poorest’ President who Lives on a Farm & donated 90% of his monthly salary to charity! SEVEN STEPS TO AVOID SEXUAL SIN AND STAY IN MINISTRY! 5 Signs That You Are Idolizing Your Pastor. GOOD NEWS: Doctors Confirm That HIV/AIDS Cure Has Finally Been Found! 7 Types Of People You Need To Stay Away From To Be Successful. To Avoid An Extramarital Affair, Couples Should Pay Attention To These 7 Points! Radical Islamic Leader tries To Kill Pastor’s Family But Jesus Appears, Stops Him And He Is Now An Evangelist! These Are 5 Illusions That Will Lead You Straight Into An Affair If Unchecked! How Nigerian Pastors Breed Corruption in Nigeria! The Nigerian Driver’s License Is Recognized In These Foreign Countries! How To know When It’s Time For You To Transfer To Another Church. MUST READ!! THIS MAN DISCOVERED THE CAUSE OF CANCER AND WROTE A BOOK ON HOW TO CURE IT!! Satan’s Top 10 Desires For Every Pastor That No One Should Ignore! The Great Commission includes saving souls and planting churches, but much more. God’s mandate to us is nothing less than taking dominion of His entire creation here on earth. No one has put this mandate into practice more wisely and effectively than my good friend, Sunday Adelaja. Of all the excellent new books on aggressively advancing the Kingdom of God, this one stands out as being the most practical. 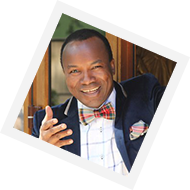 In CHURCHSHIFT, Sunday Adelaja articulates the greatest need Christians have today – for churches not just to be large, but to be large in influence. This book will help not only to build churches but to take nations. In today’s fatherless world, where men abdicate their roles and shun responsibility, God must raise up fathers who will accept responsibility for families, communities, and nations. Sunday Adelaja, a fatherless child, has become a father to a nation. This book reveals the Father’s heart and inspires us to act on what is right. Just as Moses was a meek leader who impacted change in a nation by the power of God, so has Sunday Adelaja. In a meek, yet bold way, Pastor Sunday shows the world how to make the Gospel socially relevant. His words will challenge you. His story will inspire you! For those of you, who had previously participated in this program, I would like to tell you that I and my team have been working hard to improve on it. I want to strongly encourage you to continue your participation, and be prepared for a more intensive program. Favour may open doors, but influence changes nations. Sunday Adelaja is a man of great influence for the cause of Christ. His anointing services in Kiev in a massive sports stadium are so dynamic, diverse, exciting that when they end after five hours, no one wants to leave! Simply spectacular! That is the man Sunday Adelaja – simple truth, spectacular faith, massive results. Catch the largeness of his spirit, and find the greatness of God unfolding in your life. When you read about the awesome experiences of Pastor Sunday, it will inspire you to believe God for “greater things”. I cannot wait to see this book published and read by thousands of pastors and church leaders like me who are hungry for a powerful and extraordinary move of God to impact our cities and nations. If your life needs a revolution, Pastor Sunday has done that as well, described in these pages. His book “ChurchSHIFT” provides God’s model for transformation and the mind-set of a Christ-centered revolution all from an incredible man who has lead and experienced them both.